Mothers and daughters enjoyed a light meal during the Dia de las Madres celebration earlier this week in Pharr. 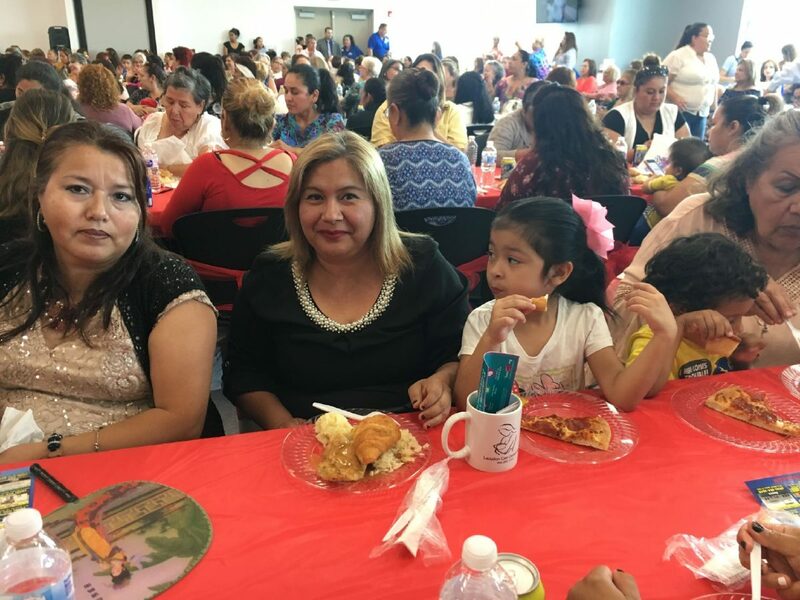 PHARR — All things mom were celebrated in a Dia De Las Madres program hosted by the Christian Academy of the Air in conjunction with the city of Pharr. More than 200 mothers from Pharr and neighboring communities attended the gathering where guest speakers presented on topics such as health and wellness. When the first banquet was hosted years ago, 25 women from the community were invited and served. This growth, according to the director of the Christian Academy of the Air, Josephina Rios, was made possible by volunteers and sponsors. More than anything, she said, the purpose is to recognize and pray for mothers from struggling backgrounds— single, widowed, low-income and all else. The academy is a nonprofit Bible teaching ministry that reaches 22 countries with a daily radio program and accredited correspondence school. 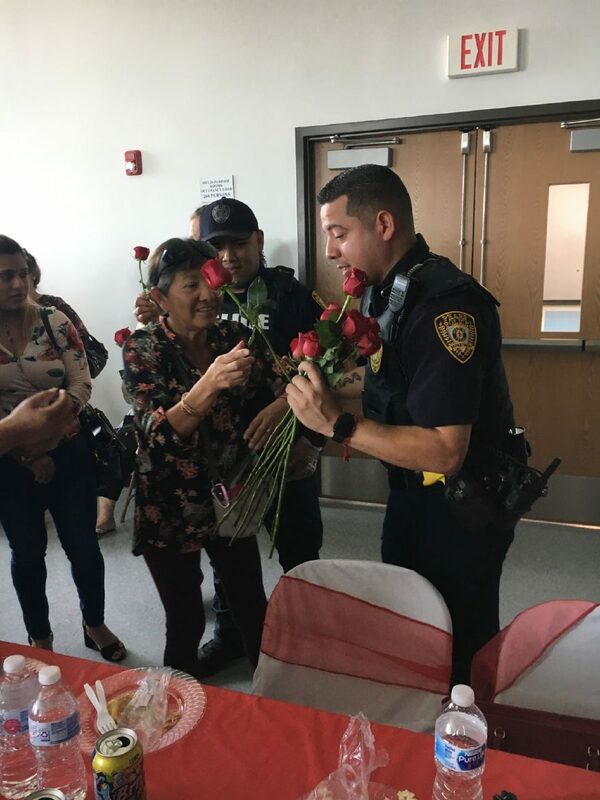 Mothers received roses from Pharr police officers during the Dia de las Madres event this week in Pharr. Bibles were offered by volunteers from the academy outside the room of the Pharr Development and Research Center in which the luncheon was held. Officers from the Pharr Police Department were employed to help serve lunch plates. Imelda Gomez from San Juan attended with her mother and sister after receiving an invitation from her friend who sang in the mariachi group. Dr. Enrique Griego shared the impactful role his mother played in his life in encouraging him to pursue his dreams and receive his medical degree. According to Griego, his mother was illiterate but encouraged him to follow his dreams by investing in his education, which allowed him to receive his degree. He also spoke about the benefits of fasting and importance of nutrition. As another token of appreciation each mother received a rose at the end of the banquet while the mariachi group performed and attendees shared laughs, smiles and hugs. “This is our special way of celebrating with and giving back to the community,” said Rios.